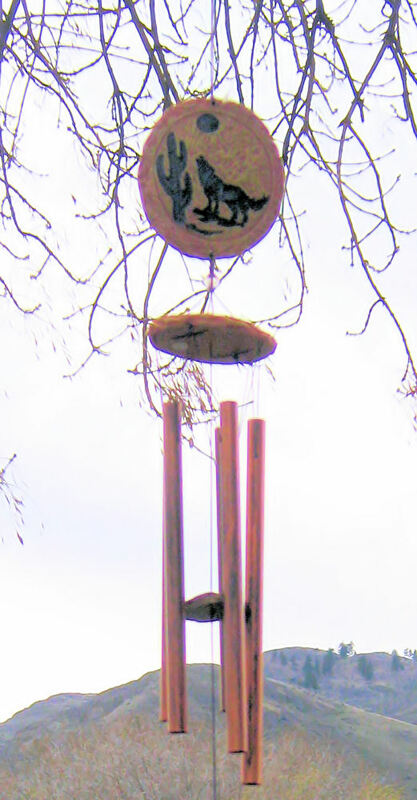 This windchime can be combined with other inspireds in the 211xxx series to meet quantity discounts. There are three inspireds in this series: Kokopelli with Cactus, Twin Kokopellies, and Coyote. Choose your preference from the dropdown menu below. If you choose assorted, leave a comment in the comment box on your checkout form itemizing the exact syles you want.